I invite you this month to begin a new spiritual practice, or deepen one that you already practice. Our font is at the entrance of the Nave, and is filled with water that has been blessed. Many of you do this already – if you do I invite you to be more intentional about the prayer and thanksgiving: Upon entering the Nave, stop at the font and dip your finger into the Holy Water. Make the sign of the cross as a way of remembering your baptism, and say a prayer of thanks to God. 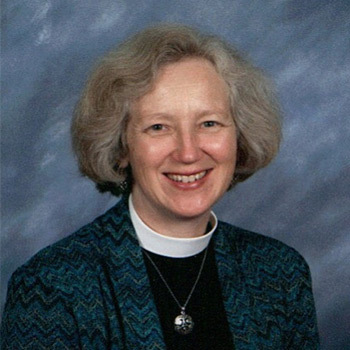 Another opportunity for spiritual growth this May is our Tuesdays in May Centering Prayer and Lectio Divina – every Tuesday from 9:30 to 11:00 a.m. Instruction in both is available. These are ancient spiritual practices for resting in God and encountering Scripture with our hearts. These practices take the Holy Spirit seriously – the Spirit’s work in our inner lives, and the reality that when we encounter the Scripture with an open heart, the Spirit is there to guide us. Come once or for all of the sessions! Two of the major Feasts of the Christian year are in May this year – The Feast of the Ascension on Thursday May 10 ( 50 days after Easter ) and The Feast of Pentecost on May 20th. 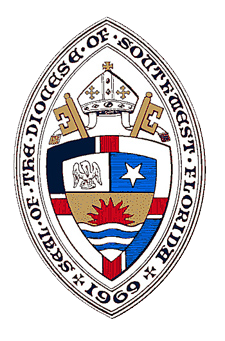 We will have a contemplative eucharist at 7 p.m. on Ascension Day ( May 10 ) and our usual three Sunday services on Pentecost ( May 20th ) with Baptism at 10 a.m. Finally, a HUGE thank you to everyone who made our celebration of Baptism, Confirmation, Reception, Renewal of Baptismal Vows, and our celebration lunch such a wonderful experience!! Special thanks to Tiffany Grant and Seth Jones and others who helped put on the barbeque lunch, and to the fearless leaders of the J2A group, Carol Bechtel and Diana Grupposo, who have shepherded this group through the spiritual formation for youth to their confirmation. We had three ( adult ) baptisms, nine confirmations, two receptions from the Roman church, and one re-affirmation of faith. What a glorious day!! 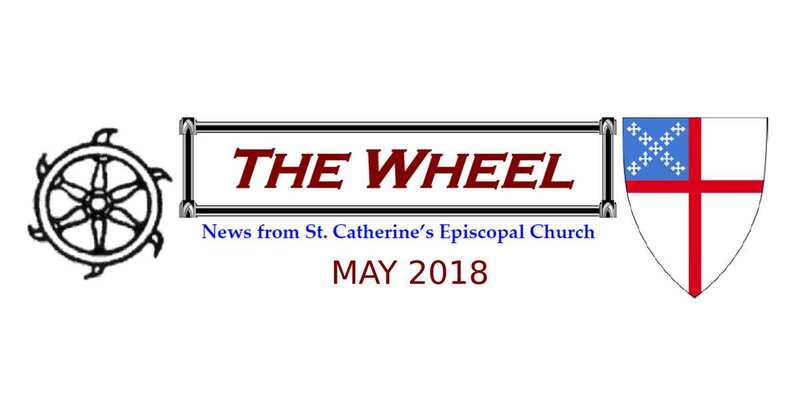 Click here to view the full May 2018 Wheel Newsletter!